This cant be correct. I dont remember it looking like this in 1.12. 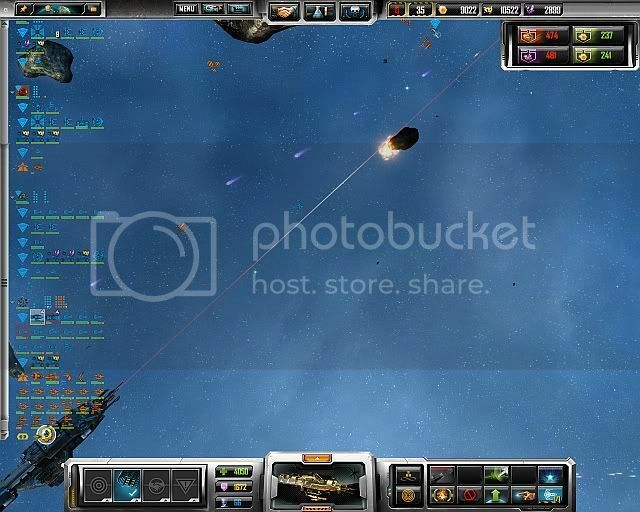 Kol Captain: "FIRE THE GAUSS RAIL, DAMNIT!" Weapons Officer: "But, sir, we have no more ammo left!" Captain: "What do we have in the cargo hold?!" Weapons Officer: "Well, there was that chunk of rock we picked up a while back.."
Captain: "Damnit man! Strap an engine to it and FIRE!" I noticed this as well but only when I was bombarding a planet with the KOL Battleship, I didn't notice this during fleet engagements. 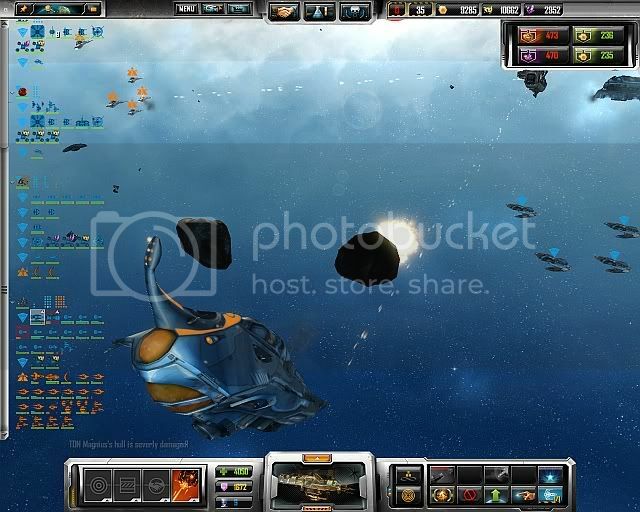 Kol Captain: Fire Gauss Cannon on enemy capital ship! Enemy Captain: Holy Mother! I think the Kol just s#!t a brick! Yep. It definitely uses asteroids for ammo. Got distracted by it when I was talking to someone and the kol fired it's rail gun. Awesome. This happens 100% with my Kol's too. I thought bug, but then I thought back to when the Centauri rail gunned asteroids into the Narn homeworld, and wondered if this was intentional, heh.